Wattle Bark won the 37 Derby in a time of 29.26 from the favourite Shove halfpenny. Back in 3rd place was a fawn dog called Grosvenor Bob.  In a close betting heat, Shove Halfpenny was made the 7/4 favourite, with Wattle Bark next best at 5/2. From the 6 box Wattle Bark led at the first bend and continued to maaintain a fast gallop. Shove Halfpenny lost all chances at the boxes when bumped badly, leaving outsider avion Ballerina to mount the only challenge. 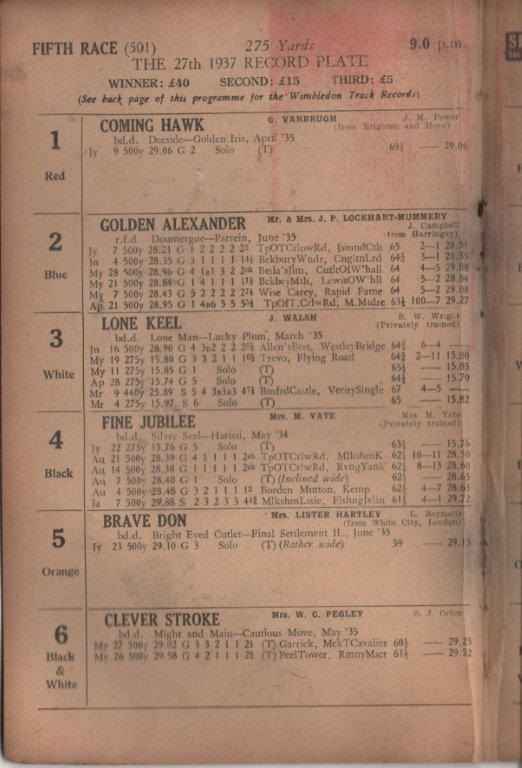 Shove Halfpenny recovered well from her bump and ran on so strongly that she was only a length and a half behind Wattle at the line, with Grovesnor Bob some 4 lengths further back in third. Note that Jesmond Cutlet was renamed after his first round victory when he was called Lewis of Waterhall. 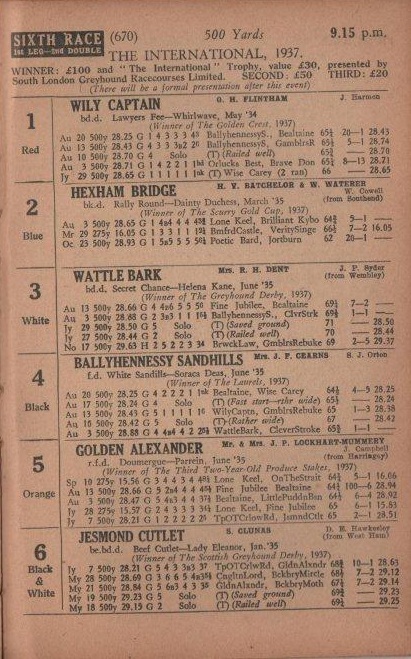 The racecard scan is the 1937 running of 'The International'. Made up of Classic and major competition winners, the result was as follows: Wattle Bark, Wily Captain, Golden Alexander with the distance a neck and winning time 28.67 on good going. Hexham Bridge won the Scurry gold cup; Wattle Bark the Derby); Ballyhennessy Sandhills the Laurels; Jesmond Cutlet the Cesarewitch. My thanks to Tony Nash for providing the racecard scan and information. The racecard is for a sprint open over 275yds at Wimbledon in July 1937. It was won by Lone Keel beating Fine jubilee by 1 1/4 Lengths in 15.57 which was, at the time a track record. Lone Keel was to win the Derby the following year (1938). Fine Jubilee won the Derby & Gold collar in 1936 and was beaten a short head in that years Laurels.